I love dressing up, but I do not have that many accessories that can top off an outfit. Medu has managed to capture a bracelet that I can wear with everything I own! Best part yet is that everyone I go around notices that beauty in the bracelet! 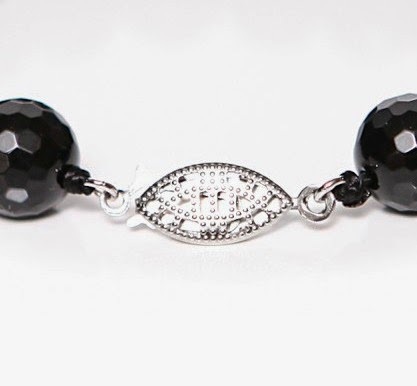 My favorite two things about the bracelet is that the beads literally sparkle! In or out of light! The stones are called Onyx, Stone shape is 128 facets, and the stone size is 10mm. Also this comes in many other colors (pink, white etc...). Also I love the sterling silver claps and it is also hypoallergenic (Nickle Free) The claps is just stunning, I mean look at it! The bracelet is light weight, not heave at all. I am big boned so I did wish that it was a tiny bit bigger but I was/am still able to wear this! The bracelet is not a stretchy one. Overall I say this is a great brand and a great style! I am in love with mine! And now I am giving you a chance to win one! I think this bracelet is very nice. I think it would be versatile- could go with a dressy or a casual outfit. I absolutely love onyx, it is an awesome stone, used to absorb negative energy from other people, so it gives you more positive vibes! 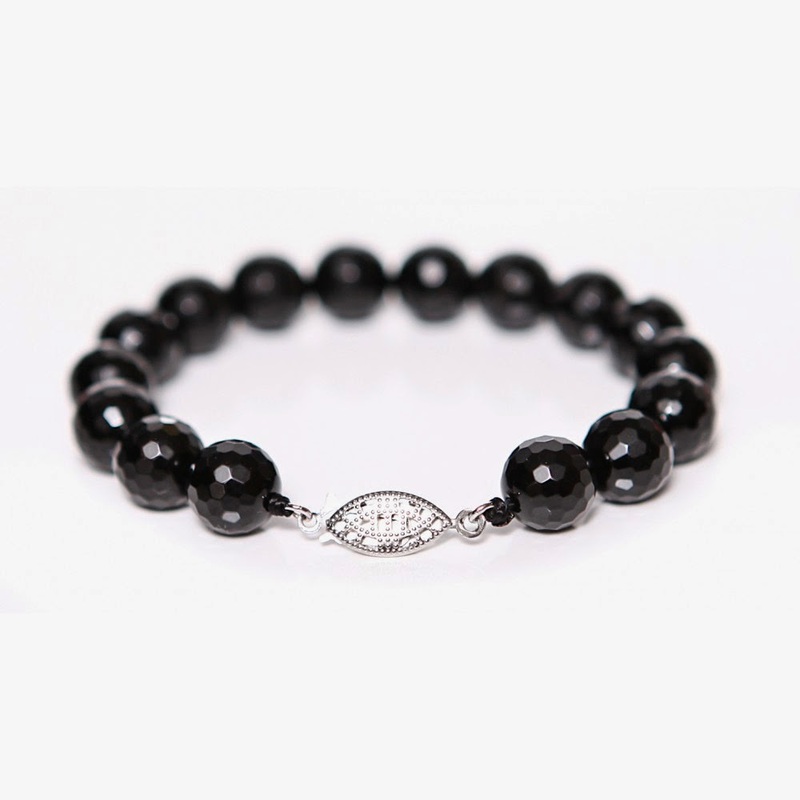 I have a necklace that is onyx, I would love to have a bracelet to match and this one is so pretty!